Why should you use a real estate agent in Bangkok? What with so much information available on the internet you might be wondering why you should use a real estate agent in Bangkok. The truth is that you don’t necessarily need to, but you will almost certainly pay more and miss out on some great opportunities if you go it alone. Here’s a list of reasons why it pays to use a real estate agent. Professional real estate agents make it their business to possess the most intimate knowledge of the neighborhood you’re looking to live in. Agents can help with things such as comparable sales, and can also provide important data on the best schools in the area, crime rates and its demographics. Agents have the inside track on what you should be paying for a condo in any part of Bangkok. The same goes for sellers. For example, you might think that because one condo in your unit sold at a certain price, yours should too, although you can’t know that for sure as you don’t know what improvements etc. may have been made. Your selling agent should provide ample data and then let you choose the best price to sell your property. Once this is done, the agent can then create a marketing strategy. Real estate agents also know the local market conditions which will have an impact on both buying and selling processes. Useful information which an agent can provide includes the average square meter cost of similar condos, the average and median sales prices, list-to-sold price rations, average time on the market and more besides. This knowledge will have a big bearing on the choices you make when it comes to buying and selling Bangkok properties. Another often ignored reason why you should use a real estate agent is the small but very important matter of negotiations. Buyers and sellers who try to negotiate alone are often biased by their emotional attachment to a property, and this can cause them to make poor decisions that a skilled agent would avoid. In addition, foreigners need to be aware of cultural differences around the art of negotiation when dealing with Thai buyers or sellers. An experienced Bangkok real estate agent knows how to deal with the locals best and get you the best possible price. No one wants to burden themselves with reams of paperwork when handling a property transaction, and especially not when most of the documents are in Thai language! As such, it’s essential to use an agent to navigate this potential minefield, unless you feel confident enough to let your Thai wife handle it all – but of course, we certainly don’t recommend that! 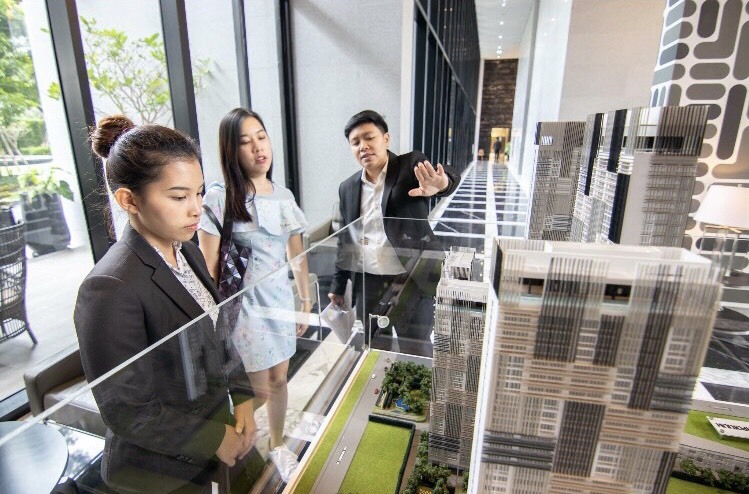 If you are seeking a professional real estate agent in Bangkok then you should contact Home Finder Bangkok at +66-95-774-2820.